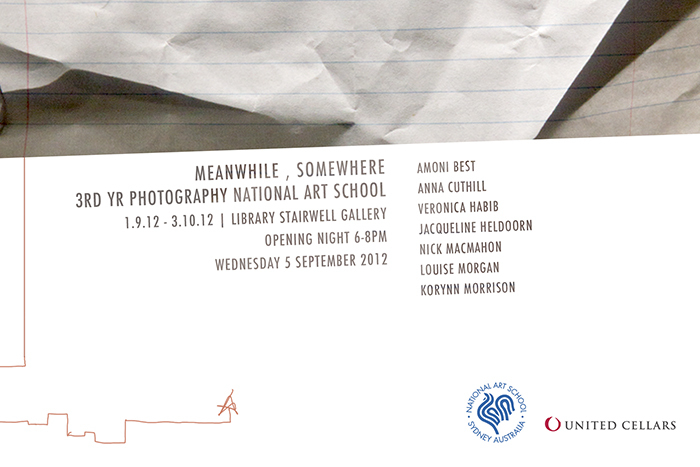 Upcoming group exhibition of the National Art School's current 3rd year photography students within the campus' Library Stairwell Gallery. Opening Night: Wednesday 5th September, 6-8PM. The show will run until the 3rd of October, 2012.